Road trips are a great way to spend your summer vacation. As an expat or international student, you may not be able to travel overseas right now. Not to worry! You can still enjoy your summer vacation. It’s a good idea to get to know the country you’ll be living in for the next few years. Plus, there are many places to visit and fun things to do in the United States. Domestic US flights are an option for some. But if you were not able to book your flight ahead of time, ticket prices may have gone way up. A road trip can be cheaper and definitely more fun. You can stop by many cities or states on your way to your final destination. This will give you a chance to familiarize yourself with American culture quicker. The United States offers a number of exciting road trip destinations for any international student looking to have an epic American adventure. If you’re interested in a summer vacation road trip, check out the routes below. We’ll provide 5 road trip ideas for international students in the US. A single road trip from New York to Boston will expose you to a lot of American wonders. You will have the opportunity to explore the ‘Big Apple.’ You can visit popular destinations like Central Park, Greenwich Village, Times Square, and the Empire State Building. If you’re not exhausted yet, you can hire a ferry and go on a short trip to Martha’s Vineyard. Then, jump on a rented bike to discover Nantucket Island. Or go straight to Provincetown to have a glimpse of whales. On your way north to Boston, you can go through Connecticut or Rhode Island. We suggest you stop at Cape Cod to enjoy beautiful ocean views and lighthouses. Once you reach Boston, there are still many sights to see. Boston is a historical city, one of the oldest in the United States. You can walk Boston’s Freedom Trail in order to see many important landmarks in one day. If you want to enjoy the outstanding scenery of the Virginian countryside, take a road trip through the Blue Ridge Parkway. The Blue Ridge Parkway will take you through the Appalachians mountain chain. It runs from Virginia to Cherokee, North Carolina. It’s America’s longest linear park. You can see (and stop by) hiking trails, waterfalls, and panoramic views. This is a great summer road trip idea for nature lovers. The speed limit allowed on the Blue Ridge Parkway is about 45 mph or less. This gives you the opportunity to leisurely capture all places of interest along the route. The road is meant to be driven at a slower pace so you can enjoy your drive through the Virginian countryside. And capture some awesome scenery with your camera! Route 66 is one of the famous legendary tourist destinations in America. It provides you with tons of excitement as you journey all the way from Chicago to Los Angeles. In fact, Route 66 offers lots of awesome views for international students looking to gain insight into some of the early beauties of America. The journey takes you through museums, restaurants, and towns that flourished in the 1930s. Although the trip through Route 66 can be completed in just 5 days, you’ll be able to experience more if you extend the trip. If you have time to spare, you can visit the Grand Canyon, Las Vegas, and Santa Fe. So, if you really want to capture many moments on Route 66, it’s advisable to dedicate between a week and 2 weeks for your trip. From Chicago, the trip will take you through the open plains of the Midwest, the mountainous New Mexico, the barren desert of the west, and finally the beautiful Pacific coast. There are signs on the road that help to guide your path as you journey through Route 66. You don’t have to be looking at your phone’s GPS all the time! This route takes you on a journey over the ocean to cross about 42 bridges as you go from Miami to Key West. (Including the famous 7 Mile Bridge.) You will enjoy stunning views of the Atlantic Ocean as you jump from one island to another. You can visit many popular islands during your road trip. Ragged Key, Plantation Key, Fat Deer Key, Tea Table Key and Sugarloaf Key, among others. If you like scuba diving, you can visit the Neptune Memorial Reef. And if you want to see beautiful Renaissance-style gardens, visit the Vizcaya Museum and Gardens estate. Literature fans should visit the Ernest Hemingway House and Museum. And you’ll definitely want to take a glass bottom boat ride. For any international student willing to explore America, the Las Vegas Loop is a good place to start. It’s a great choice for those who don’t have much time off to travel far during their summer holiday. The Las Vegas Loop is a closed circular route. You can complete this road trip in 3 or 4 days. (Depending on how many stops you want to make.) The road trip takes you through the stunning open desert of Arizona and Utah. You’ll journey through the loop from Las Vegas to Monument Valley, Grand Canyon, Arches, Canyonlands, Bryce Canyon, and finally the Zion National Parks. You can bike or hike at the Angels Landing in Zion National Park. After you’re done completing your nature tour, you can stop and relax in Las Vegas. Have the full Vegas experience and stop by the Las Vegas Strip. Visit shows, casinos, and go shopping. You could do Vegas first, but you’ll probably want to go there last and get a massage for your tired feet. Road trips are a great way to enjoy your independence and put your car to use. Going to and from work or school can get boring pretty quickly. Taking your own car instead of a rental can save you time and money. If you don’t own a car already and have been wondering how to get a car in the U.S., check out our complete guide to buying a car in the US. 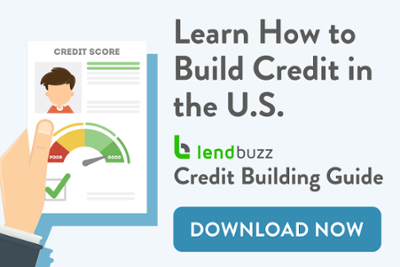 If you need a car loan to buy your car (and you should get one because it will help you build credit in the U.S.) consider a specialized lender like Lendbuzz. Lendbuzz provides car loans for internationals without credit history or a SSN. You can apply online in minutes, no co-signer needed. As a student, learning should not be limited to books and classes where you listen to lectures and take tests. You need to expand your education by exploring the United States. This will provide you with fun memories to reminiscence about America after returning to your home country. So, pack your things, get in your car, and try out one of these US summer road trip ideas! Lendbuzz on The Bloomberg Baystate Business Hour 6 Best Cities for International Students in the U.S.